Mac Proがアップデートされないまま発売から1000日が経過。 | AAPL Ch. September 13th, 2016 is coming to a close. There will never be another. 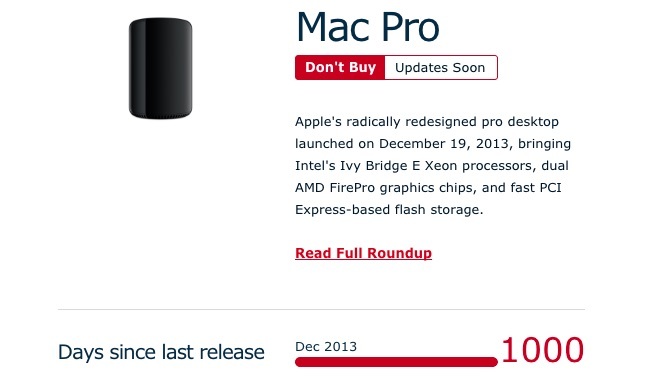 Pour one out and reflect on this, as well as the somewhat improbable fact that the date marks 1,000 (one thousand) days since Apple released the first version of its gorgeous and radically revamped Mac Pro computer. Also the last version. Apple is, of course, rumored to be revamping its Mac lineup at some point this year, with a major MacBook Pro redesign set to be the highlight. 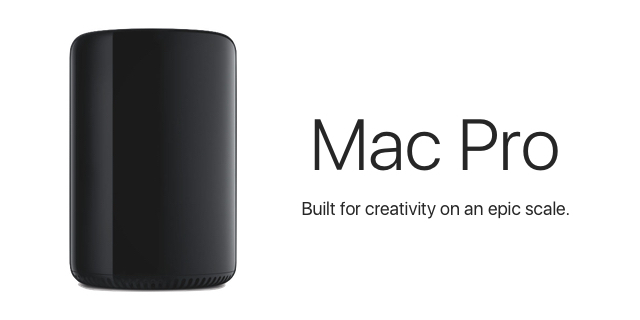 Here’s hoping the Mac Pro gets a little love as well.